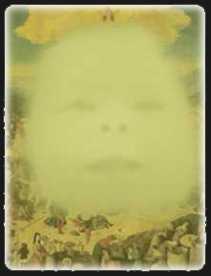 "The Feast of Saint Rumbold"
There are two St. Rumbold's 'Saint Rumbold of Mechelen', 'Saint Rumbold of Mechelen'. An Irish or a Scottish Christian missionary, who was martyred near Mechelen by two men whom he had denounced for their evil ways. Saint Rumbold's feast day is on June 24, also celebrated in Ireland on 3 July. He is the patron saint of Mechelen, where St. Rumbold's Cathedral possesses an elaborate golden shrine on its high altar, containing relics attributed to the saint. In 2004 an examination of the relics assumed to be St. Rumbold's showed a death date between 580 and 655 AD. They chose eight of the largest and best whitings out of every boat when they came home from that fishery, and sold them apart from the rest, and out of the money arising from them they made a feast, every Christmas-eve, which they called a rumbald. The master of each boat provided this feast for his own company, so that there were as many different entertainments as there were boats. These whitings, which are of a very large size, and are sold all round the country as far as Canterbury, are called rumbald whitings. This custom, which is now lest off, though many of the inhabitants still meet socially on a Christmas-eve, and call it rumbald night, might have been antiently instituted in honor of St. Rumbald, and the fish designed as an offering to him for his protection during the fishery". From Edward Hasted's 'The town and parish of Folkestone', The History and Topographical Survey of the County of Kent: Volume 8 (1799). Legend has it that, in the middle of the seventh century, ‘Cyneburga’, a Christian and daughter of Penda, King of Mercia, and her pagan husband ‘Alchfrith’, son of the King of Northumbria while travelling stopped and camped 12 miles west of Buckingham, where ‘Cyneburga’ gave birth to son who they named ‘Rumwold’ (Rumbold). Immediately after being born the infant is said to have cried out: "Christianus sum, christianus sum, christianus sum" ("I am a Christian, I am a Christian, I am a Christian"). He went on to further profess his faith, to request baptism, and to ask to be named "Rumwold". The next day he astounded everyone by preaching a sermon on Christian virtues and the Trinity. On the third day he said that he was going to die, seeking to be buried where he was born for one year, then at Brackley for two years, and finally for his bones to rest for all time at a place which would later be known as Buckingham. Accounts of Rumbold’s miraculous life were widely circulated in the Middle Ages and his tomb and shrine in the old church of Buckingham became an important focus for pilgrims. Many came to take the curative waters of St Rumbold’s Well close to the town. The Patron Saint of Folkestone fisherman in lower town during the seventeenth century was ‘Saint Rumbold’. However the Ancient Town of Folkestone has “Saint Eanswythe” as the Patron saint. 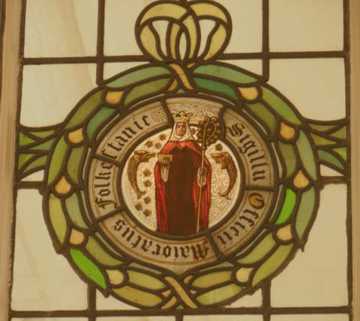 St Eanswythe was an Anglo-Saxon princess, the only daughter of Headband, King of Kent, and Emma, daughter of the King of Franks, by tradition in AD 630 in Folkestone was built the first monastery for nuns. The two fish featured above in the stain glass on either side of St. Eanswythe, seem to be ‘Rumbold Whitings’. Nearby the church of St Rumbold can be found St Botolph’s bridge. 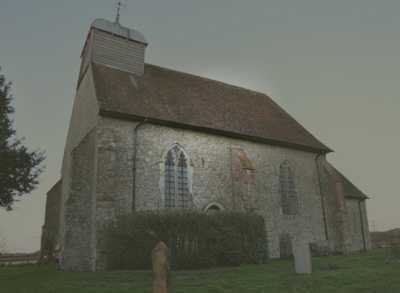 On the borders of Kent's Romney Marsh at Bonnington stands the 14th Century Parish church of St. Rumbold said to have been built on earlier foundations. The original picture of the church of St. Rumbold was taken by Mr. Denis Pepper of The Society of Saint Botolph. This year 2016, the Folkestone’s fishing families and the fishing community decided if they would like to remember their fishing heritage, and mark the past with an updated version of the Ancient tradition of "The Feast of Rumbold”, - It seems that the answer to this as of 31st August 2016 that it is not to be, .so "The Feast of Rumbold" has been cancelled.